Good morning, today I wanted to share with you the bench that I'm making for my daughter Isabella's room. I haven't done this before and I don't sew so I am going to have to modify the technique a bit. 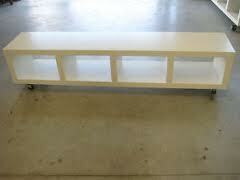 I plan to use the Ikea Lack shelving for my bench. It is 75"lx15" wide and fits perfectly. 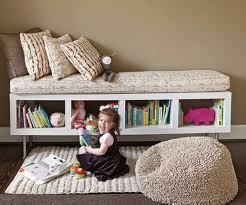 It has 4 storage spaces which are a great way to keep the kid "stuff" at bay. I like that the bench is only $80 from Ikea, however for me the cost is nothing because we had this bench in our old house playroom as a t.v. stand so we're just using what we already have by re purposing the shelf to a bench with cushion and storage all on a budget. 2) Get a piece of ply wood cut to your desired width and length. For me it will be 72"lx15"
3) Shop for your fabric. 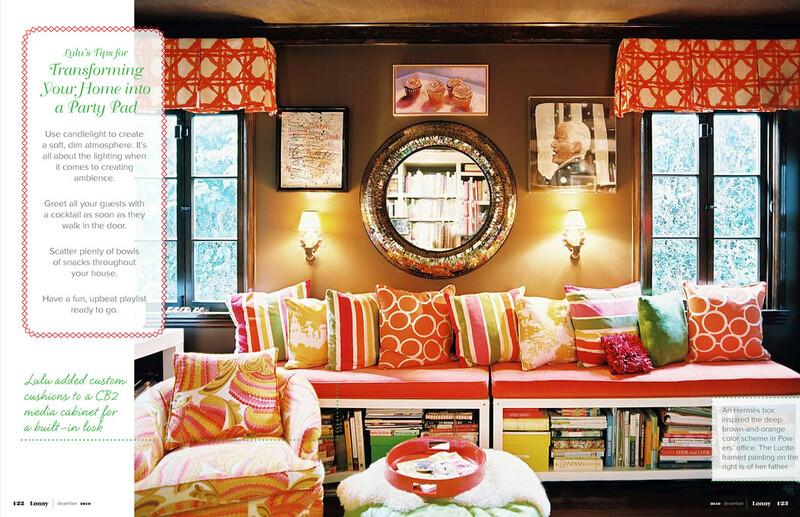 I think this is a great way to make your custom bench as designer as you can. 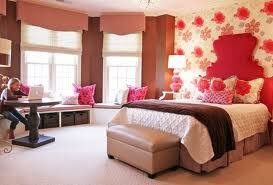 For me I am using teal, white, hot pink and damask accents in this room. I already have allot going on so I chose a simple white fabric in a linen type texture so that I can use my accent colors in the pillows and boxes for the bench. I plan to scotch guard the fabric so that I can spot clean it much easier and recommend you do the same. I originally wanted to do the damask but it was a "fail" and looked way too busy. That fabric will now become two pillows and something else down the road. I used 2 1/4yds for my cushion dimension. 4)Shop for foam. There are places like Joanne's that sell the foam by the yard but unless you have a coupon I caution you that this can be expensive. I found a 72"lx24"w foam at WalMart in their fabric section for $15 which is a great find! I bought two and will layer them for added cushion. 6)You will need a good glue such as wood or fabric glue, scissors, a staple gun and measuring tape. -wrap the material around the wood and staple it the back side of the wood. *Note that I have white foam and do not need a backing materiel, however if your foam is not white you may need a backing material in white so that you can't see the foam through your fabric. It also smooths out bumps. I may add this to my project if when I get started and the material doesn't make the foam look smooth enough. I'll keep you updated. 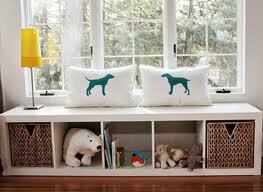 -Take your Velcro strips and place 2 sections on your wood from your cushion, and the other two on your Lack bench. *Note that if your bench is to be used in a high traffic area you may want to actually drill and nail the cushion to the bench. Mine will be in my little girl's room so I don't need such strong measures. Also, I will be able to easily change out the white fabric once it gets dirty. If this changes I will update you. I haven't done this project yet but will be doing so this weekend so things could change in this process and I will gladly share that with you. 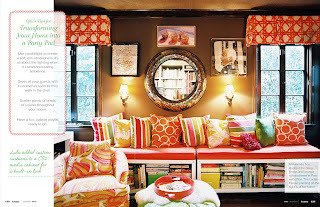 I will also be working on a DIY cornice for my daughter's room, my DIY drift wood mirror since the wood has now arrived, and the DIY curtains that I will be using for my other daughter's room. Busy weekend! If you too attempt this DIY bench, please share your results with me. I will post them on my blog.